Instinct or Intuition (or gut) is the soft voice that comes from within, speaking to us in a language that only we can understand. This quiet voice that often talks to us in whispers is our little angel and guide, particularly in matters of love and relationships. We all often commit the mistake of not trusting our instinct enough. We do not pay heed to where this angel is trying to guide us. We ignore its signals and sometimes discard it’s voice right away. And from my experience, I can tell you that there is nothing more dangerous to our conscientious than ignoring or not trusting our gut feelings. I have saved myself from so many unwanted situations simply because I listened to my intuition just in time. I do not board autos or buses when I feel something awkward about them. In matters of marriage as well, I relied on my intuition. I was sure that it would guide me and it did. It very well did. How Do I Know My Intuition or Instinct or Gut? First of all, let’s understand that while technically there can be a difference between Intuition, Instinct and Gut, practically, these three terms can be used interchangeably. Some might argue that instinct and intuition are different in the way that instinct is more about the sub-conscious mind and biological make-up, while intuition is purely a psychological concept that defies all rationality and logic. Given by the above, your instinct might be to fall for a hardworking man but in some cases, if you fall for him, your intuition might just tell you to run away from him. Instinct is why you mostly choose to vacation on a beach instead of a hill and intuition is why sometimes you feel you will find that calmness in the hills. Well, in this regards instinct and intuition are different but intuition and gut (or hunch) are almost the same things. These two – intuition and gut – relate to that voice which doesn’t come with a rational explanation. It is just a feeling that springs up from within and that only we can experience. However, for the scope of this article, I will use these terms interchangeably. Because in the matters of love and relationships, where the heart rules and mind lags behind, instinct and intuition act like the same thing. No matter what you call it – instinct, intuition, gut, hunch or even a voice from your heart – fact is that there is something strong residing in you that knows whats good for you and that can sense things far better than your active brain could and it is this strong thing that tries to speak to you when you go against its will. Whether this sixth sense is based on a sub-conscious or an unconscious mind or whether it is based on the past experiences or it is simply a way in which you connect with your self, this all becomes secondary and rather irrelevant. Whats more important to emphasize is that you need to listen to it to have soulful relationships. Have you played in casinos and have betted on a single number and won because you somehow knew this number would fetch you more coins? This ‘knowing or feeling somehow’ is what our intuition is. Our gut or intuition resides deep within us and is a part of our unconscious mind. It is formed over a period of time and derives its roots from our past experiences and knowledge. It works more like a sixth sense which may not have a scientific backing but it is surely not a magic. It exists there for real, even if we can’t put our finger on what exactly it is. It is a sudden insight. How Do I Trust My Intuition or Instinct or Gut? In order to trust your intuition, you first need to pay attention to it. You need to believe in the power of your gut. You need to bring yourself to a stage where you can recognize your hunches and can function according to its readings. Begin with understanding your thoughts and your reactions. Have you wondered why you feel glad at meeting someone at the first instance and you think it can lead to a long-term friendship? This is your intuition that reflects the joy of meeting someone suited to your personality. Similarly, there are times when you meet a new person who is theoretically as per your taste but it just doesn’t click or despite everything being right, you just don’t get the push from within to pursue it. These reactions are just some ways in which our gut tries to talk to us. Our intuition or instinct or gut is a feeling. It is an intangible thing that can not be seen or calculated. However, it is an experience that can be trusted upon and evaluated and with time you learn to understand if any of these voices or feelings or signs or body reactions are the actual instinct or intuition or gut or just another lame body interferences. 1. Connect with your intuition: This is the first step that you need to take if you want to be able to trust your gut. In order to trust your intuition, you need to connect with it first. The following steps will help you in connecting you with your inner self that transmits that voice called gut. Pause and think. Take a pause from the everyday mad functioning and go still. Think of the situation or person for which you need your intuition to guide you. Be mindful of your own heart and conscious. Spend some time in silence and talk to yourself. Listen to the rhythm of your thoughts. Notice your emotional and physical reaction to a particular experience or person. Otherwise also, mindfulness helps in strengthening relationships. Meditate. Meditation helps a lot in being with oneself and being able to hear your inner voice. Meditate. Anywhere, anytime. It is not about the ritual meditation, it is about tuning into your inner self. Declutter your mind. Get rid of irrelevant thoughts and draining emotions. A clear mind can certainly hear better. 2. Be open to trusting: This is the second most important step. In order to trust your gut, you need to be open about trust. You need to trust yourself and others around you. Unless you are a person who is ready to place his trust upon others, you can’t really trust your gut or intuition. To establish this kind of trust, forgive all the past wrongdoings of yourself and others. Forgiveness makes our hearts free and clear of any doubts. This clarity makes it easier for our intuition to communicate to us. If we hold grudges against someone or still linger on to the past hurts, we can not hear the voice emanating from inside us. These hurts and unhealed wounds become a hurdle in this two-way communication that we have with ourselves. So, unless your heart is clear and open to trust like an innocent child, it is difficult to tune into intuition. 3. Detach yourself from materialism: You can’t listen to your instinct if you remain attached to materialistic possessions. If money is too important to you, how can you let go of that rich guy even if your intuition warns you to stay away from him? How can you let go of few things or people if you are too attached to them? To be able to have a look at things from a higher point of view, you need to practice detachment. Be attached to yourself and your soul and let go of these possessions that do not add to any real emotional advantage in your life. The materialistic attachment stops our intuition from moving in its own direction. These attachments act as hurdles and change the course of the gut, thus stopping it from guiding us in the right way. How Do I Trust My Intuition or Gut In Love and Relationships? I find my intuition to be particularly helpful when it comes to the matters of love and relationships. So many times I back off from people from the very first meeting while at times at the first interaction itself, I know there is something stronger. To give you an example from my own life, it was February 15, 2009, when I talked to my husband for the first time. I knew his job and his family background and I understood that it wasn’t quite the right match for me as getting married to him – a man with a transferrable government job – would mean giving up my hard-earned career. I was also not very keen on making a decision right away, which means after one phone conversation. So, I shared my doubts and concerns with him but deep inside I knew there was something deeper than just this telephonic interaction. I felt a mysterious pull towards him. My mind told me it wasn’t the best thing to do but my intuition told me to not give up on him. With time, my intuition about him got stronger and finally, I said yes to him. Result? I am glad I listened to it. From my personal experience, I can vouch that especially in the matters of love and relationships, out gut hardly goes wrong. Our intuition is probably the best crystal ball that can tell us if we are headed in the right or the wrong direction. In the matters of love and relationships, listen to the certainty factor. I call it ‘Certainty Factor.’ It means how certain you are about a person or a decision determines if your gut is right or not. The more certain you are, the more your gut agrees with your decision. But if you are taking a decision to date or marry a person with a half-hearted certainty, then chances are your gut is not with you. In such a case, chances are your gut is trying to warn you off! Whenever in doubt in any relationship or love life, ask your intuition. Believe in your instinct and let it guide you. Look for signs that your intuition relies upon. You feel uneasy with him? Go away. How can there be love when you feel uneasy by their mere presence around you? If their presence intimidates you, stay away. I judge a man by the looks in his eyes. If his eyes are not decent or trustworthy, he can’t be my friend. The looks in eyes are a reflection of his character (as per my humble understanding) and I know my eyes will connect with the right eyes. If you ever hear yourself saying that you don’t deserve this, understand that it is your intuition trying to guide you. However, many people cannot differentiate between intuition and the initial euphoria arising from oxytocin being released into your blood. We all get excited at the beginning of a new relationship. Everything seems rosy and that phase of time feels like the best time of our life. Most of us make the mistake of confusing our intuition with this ephemeral feeling of infatuation. The best way to differentiate and to find out if it is your intuition or just an initial excitement phase is to note down your reactions. Go over your past experiences and ask yourself – was it the same with the last person? Keeping a journal also helps. Or, talking to a close friend or family who knows your dating history. Sometimes, our friends show us things that we don’t want to face. Your friend might just remind you, ‘the last time also you were so excited but he was a jerk!’ and this can put things in perspective. Women are especially good at tapping on to their sixth sense. 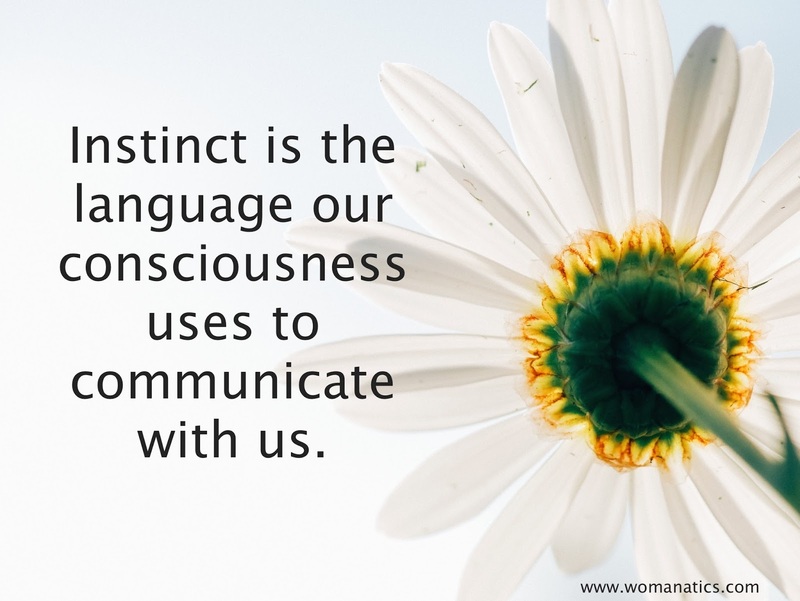 We can connect to our intuition better than the men and I think the possible reason for this is that we are born emotional and we are more forgiving in nature than most men. So, next time when you want to know if he is the one? Ask your intuition. Let it guide you. And believe me, once you start to place trust in your gut, it will begin to open up with you and will direct you in a clearer tone.